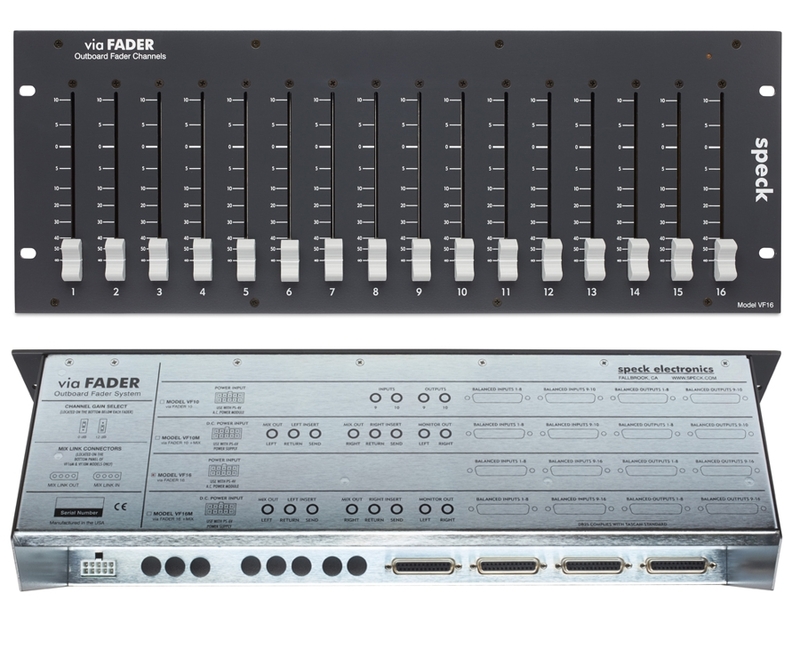 All audio connections are located on the bottom/rear of the via Fader chassis. For economy, the rear panel connector legend shows all four models with the connector legend for the Model VF16 shown third from the top. Connect the via Fader to virtually any line level source: balanced, unbalanced, transformer, or transformer-less. The VF16 line inputs and outputs are fully balanced and terminate on DB25 connectors that comply with the Tascam wiring standard.